That midterm election messiness now behind us, the expectation is that Maximum Bob, his quiver bursting with sharpened indictment arrows, will be taking aim at Trump campaign perps who colluded with Russia and probably the president himself. That is if the firing of Attorney General Jeff Sessions on Wednesday doesn't throw a monkey wrench into the works. Predicting so many bullseyes is bold considering Sessions' ouster and his interim replacement with Matthew Whitaker, a mobbed-up Trump loyalist and walking conflict of interest who will now take charge of Special Counsel Robert Mueller's Russia investigation. And could try to kill it. Mueller also has repeatedly defied expectations about where he may turn next, although we do know that Paul Manafort, Steve Bannon and other cooperating witnesses had been spending quality time with the special counsel's team and his investigative grand jury had been burning the midnight oil in the run-up to the election. Little noticed amidst all the midterm bloviating, the so-called Watergate Road Map was released in early October. This is the long secret 1974 grand jury report that Leon Jaworski, a circumspect special prosecutor in the Mueller mold from a time that now seems so far away, drafted for the House Judiciary Committee, which was investigating the high crimes and misdemeanors of Richard Nixon. It is true that the legal framework that gave Jaworski authority to draft his ace-in-the-hole report no longer exists and the regulations delineating Mueller's office and his mandate only include limited reports to Congress. But it is reasonable to expect that Mueller will transmit either directly to Congress or transmit through Deputy Attorney General Rod Rosenstein at least a single report in the mold of the Watergate Road Map. 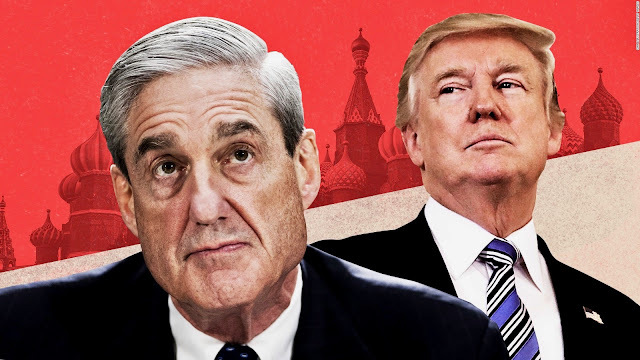 Given Mueller's style, his report is likely to be as unpretentious as the Watergate Road Map, which laid out in devastating detail Nixon's sins of commission (ordering the Watergate burglary and orchestrating the subsequent cover-up) and omission (refusing to turn over subpoenaed tapes of secret conversations with the co-conspiritors) that was rich in by-the-legal-book detail without jumping to conclusions. As with Watergate, reaching conclusions will be the job of the House Judiciary Committee, which as of January 3 will be Democrat-dominated with Representative Jerrold Nadler as chairman. Nadler is an ideal guy for the job. He is circumspect, wise and a consensus builder who is as much of an opposite of present Judiciary Committee conspiracy mongers like Darrell Issa and Trey Gowdy as Mueller is of a special prosecutor like the borderline hysterical Kenneth Starr, who turned his investigation of Bill Clinton, Whitewater and Oval Office blowjobs into a star chamber-like proceeding. As a young pup, Nadler sat on the 1974 version of the Judiciary Committee and will weigh carefully a Mueller report likely to detail Trump's attempts to obstruct justice. Trump's lawyers have been road testing that argument in Cockrum, Comer, and Schoenberg v. Donald J. Trump for President, Inc., an under-the-radar lawsuit in which three people with incidental ties to Democratic politics are suing the campaign because it publicized their Russian-hacked personal information, including Social Security numbers, medical information and other details of their private lives. Not for nothing, the Trump campaign is represented by Jones Day, the onetime law firm of now-former White House Counsel Donald McGahn and Noel Francisco, the Justice Department official who would inherit supervision of Mueller's investigation if Trump fires Roenstein. Expect a flurry of indictments targeting Roger Stone, longtime Republican sleaze merchant, Trump confidante and sometime campaign aide, and one or more of his Merry Prankster partners in collusion. Stone didn't merely know in advance of WikiLeaks' intention to leak Russian-hacked Hillary Clinton and Democratic emails because he had a back channel to Julian Assange and was in touch with Guccifer 2.0, a group of Russian hackers. That is public knowledge. Where Mueller may have Stone by the short and curlies is that he can make the case that Stone learned of those releases from Russian cut-outs. In other words, Stone was a player in a conspiracy to collude with Vladimir Putin's cyberwarriors through coordinating the WikiLeaks releases with candidate Trump's schedule of appearances and major stump speeches for maximum impact, and perhaps target soft-on-Clinton voters, as well. None of this precludes Maximum Bob from reaching into his quiver for more arrows. Mueller already has notched 35 indictments, and beyond Stone other potential perps include but are not limited to administration and campaign insiders Hope Hicks, K.T. McFarland, Carter Page, Reince Preibus and Michael Caputo. Then there are family members Donald Trump Jr. and Javanka -- Jared Kushner and Ivanka Trump. Considering all the bad actors in the Russia scandal and associated with Trump's myriad financial intrigues, the list might be longer, but the special counsel and other federal prosecutors have flipped some seriously major horsepower. They include Michael Cohen, Trump's longtime lawyer-fixer; Manafort and Rick Gates, his former campaign manager and deputy campaign manager; Michael Flynn, his disgraced national security adviser; Felix Sater, his partner in dodgy real estate deals, and Allen Weisselberg, the Trump Organization's chief financial officer. Then there is McGahn. His problematic role in Trump's repeated efforts to obstruct justice would seem to warrant an indictment, but he already has spoken at length to Mueller in one of the more curious aspects of the train wreck known as Trump's legal team. One more thing about the midterm election: For the first time since Trump slithered into the Oval Office with Putin's help, there is an institution of the government that is neither afraid of, nor controlled by, him -- the newly flipped House of Representatives. It has the powers of the purse and the subpoena regardless of the consequences of Sessions' departure. In any event, Trump finally is in grave peril. I like this hopeful attitude! But who in the Senate will stop Trump as he continues to ignore the U.S. Constitution? Will Trump ever pay anything for his multiple crimes? My guess is that he will not. My hope is that revelations of his criminality, however they come about, will at least undercut his bid for a second term. He has been Houdini-like in escaping consequences for bad behavior for most of his life. What a con man! Thank you, thank you, thank you, Shaun. I am most appreciative of your effort to keep this mess of information in order, and deliver at least a ray of hope that there may be some justice applied to der drumpf and his cohort of slime balls.